Sometimes the smaller experiences at Disney World are the most meaningful. A perfect example is the opportunity to become an Honorary Citizen of the World. 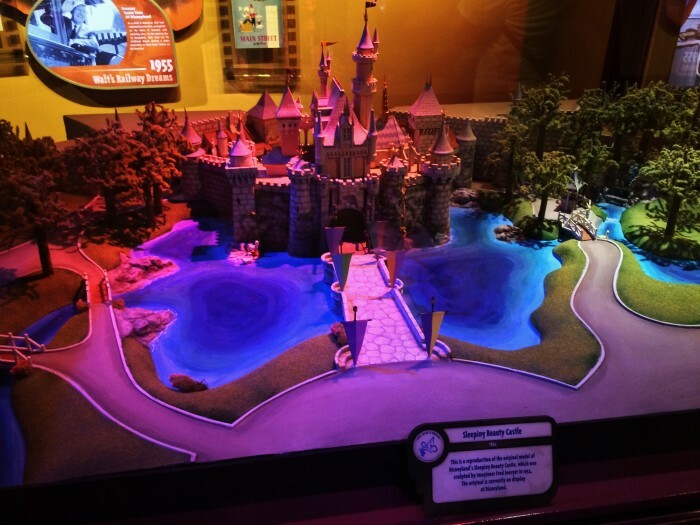 It was only after multiple trips to the parks that my family even knew that we could become citizens of Disney World, and then it took a few more trips before we actually got around to taking action. If you too would like to become a Disney World Honorary Citizen, now is the time! 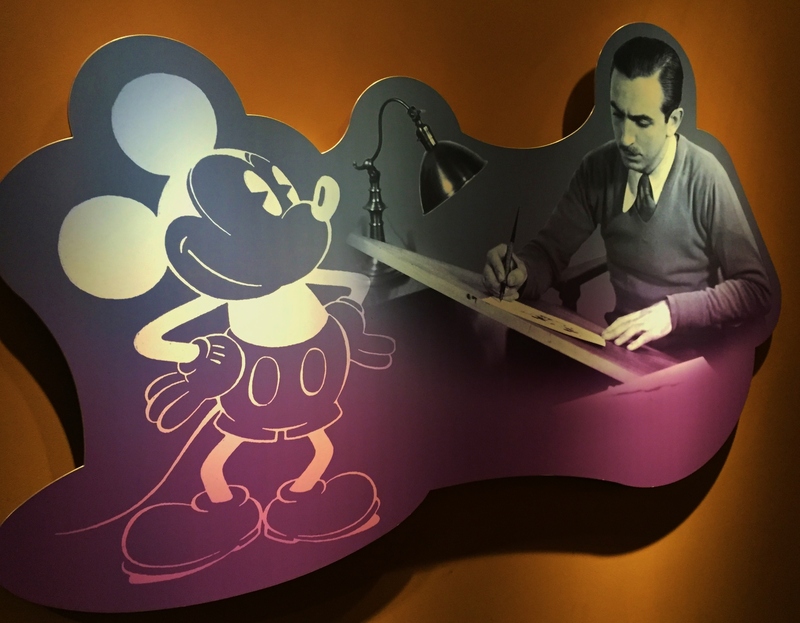 Citizenship happens at Disney’s Hollywood Studios, which is the most unpredictable Disney World park right now in terms of what experiences will survive from one day to the next. So if you would like a chance to call yourself a citizen of Walt Disney World, I advise venturing over to the Studios’ Walt Disney: One Man’s Dream at your earliest opportunity because you never know how long it will last. Read on for all the details. The process of becoming a citizen is actually pretty straightforward. Visit One Man’s Dream and ask a Cast Member at the entrance about becoming a citizen. You will be given a trivia sheet with three questions to answer (there are a few versions of the sheet with different questions). 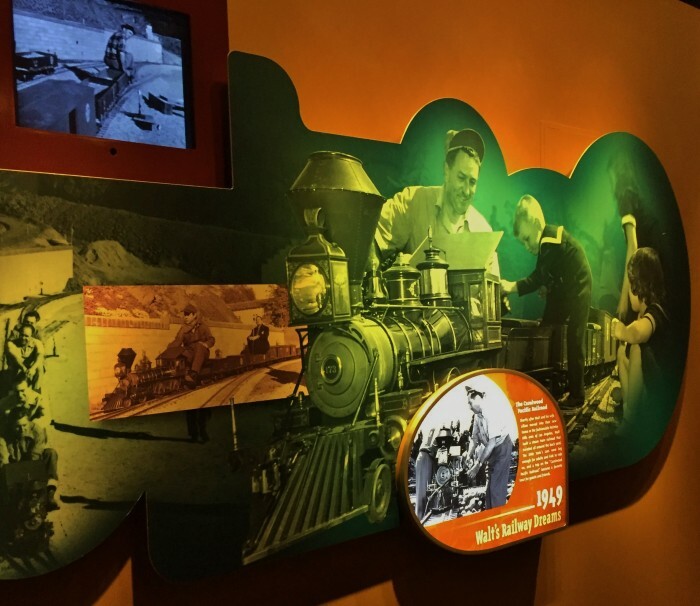 Answers to the questions can be found as you wander through the exhibits of One Man’s Dream. 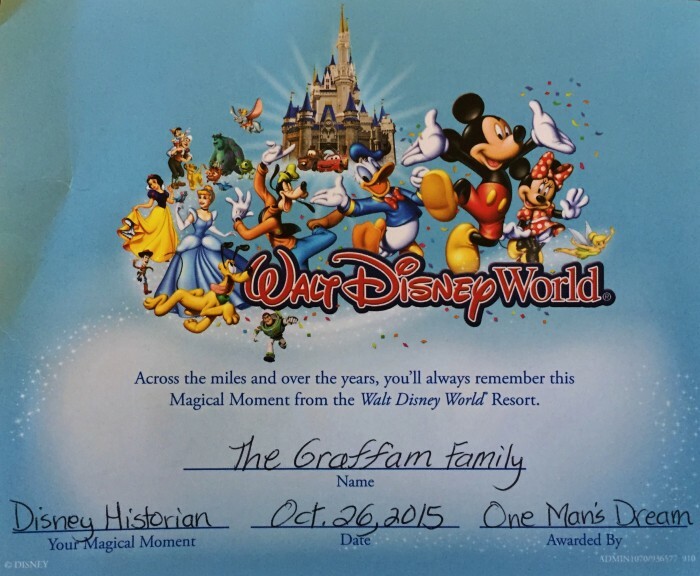 When you have written down the answers to the three questions, just present them to a Cast Member who will give you a Magical Moments certificate proclaiming you to be a Disney Historian; it can show an individual or family name. There is also a button given to those who become citizens, but when we were there, the Cast Member said they were out of the buttons and that she didn’t know if they would be getting more. Maybe the lack of buttons is another artifact of all the changes going on at the Studios. Still, we were thrilled that we had become citizens! The last step in becoming a citizen is to sign a book with your name and home town. Good luck becoming a citizen, and don’t forget to take your time enjoying the fabulous exhibits of One Man’s Dream. Tried this on our last trip and CM looked at us like we were speaking a foreign language; had no idea what we were talking about. I’m sorry to hear that. My recommendation in general is if one cast member doesn’t give the answer one expects … ask another.